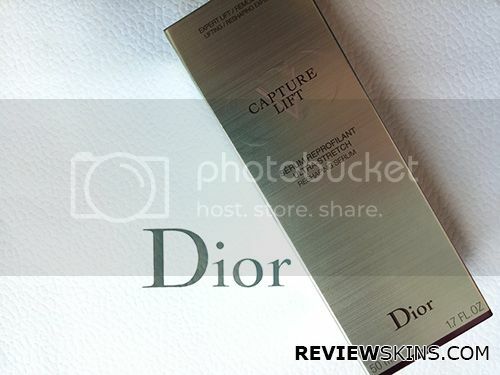 Christian Dior Capture Lift Ultra-Stretch Reshaping Serum is highly concentrated in Bi-Skin™ Stretch. Its light and fresh pearly texture glides delicately onto the skin’s surface and gently penetrates to bring instant stretch to the V-Line and durably Slim, Shape and Lift the face. It works from the skin’s surface to deep down inside, the face appears slimmer, volumes are readjusted, contours are redefined and visibly lifted. The triple-action result goes beyond slimming and shaping to stimulate and strengthen skin elasticity, thereby boosting springiness and lifting the skin into a long-lasting V-shape.